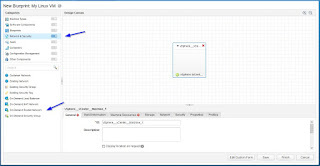 In part 1 of this post we presented the configuration at vRA level. 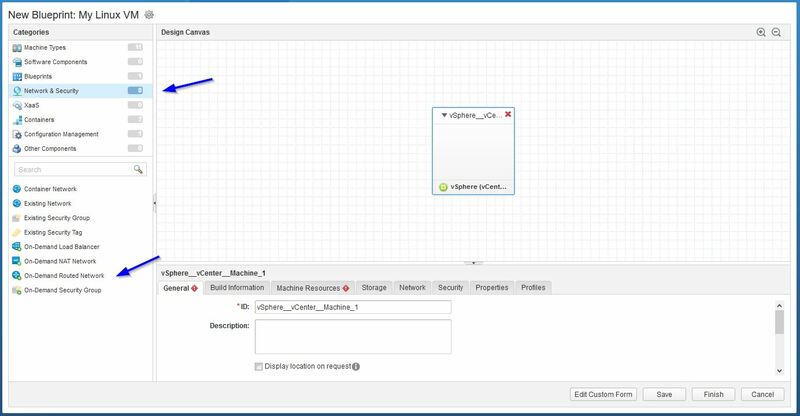 In this post we'll see how to create a service in the Service Catalog for programmatic NSX consumption. 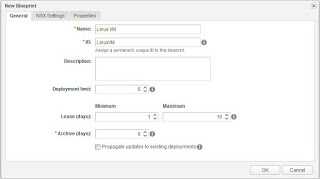 For start, we'll create a service called Linux VMs and a new Entitlement called Allow Linux VMs. 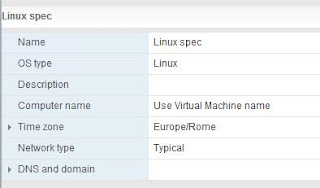 We'll entitle all users of the business group to the Linux VMs service. 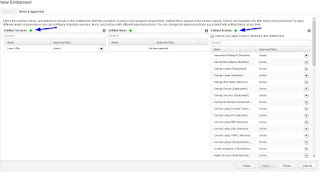 Using services in the entitlement instead of individual items we make sure that every new item mapped to this service will be automatically accessible to the users. 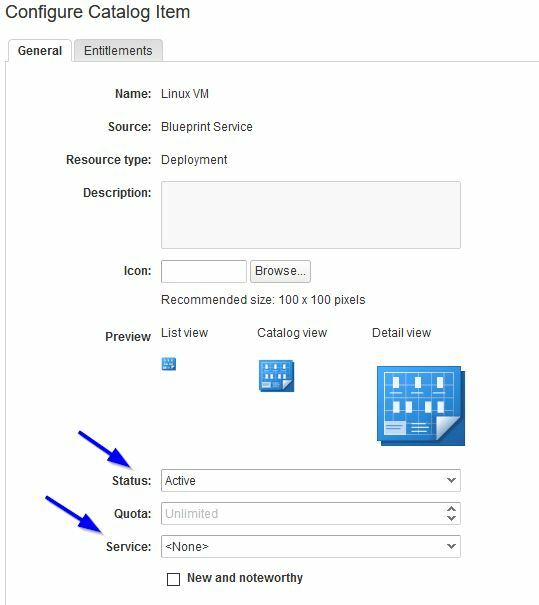 Next we'll create a blueprint that deploys vSphere VMs. 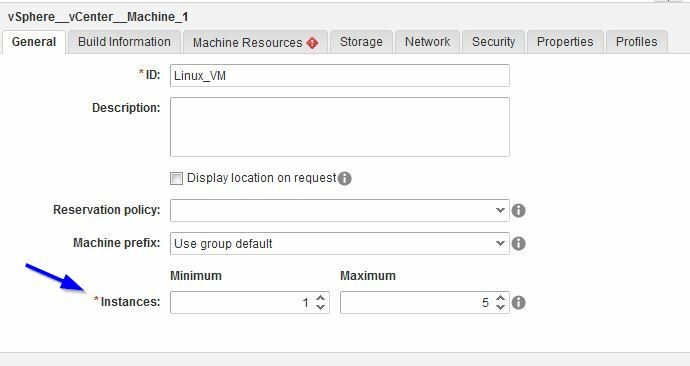 There are several ways to provision vSphere VMs, we will use linked clones because they are very fast and use deltas to keep the changes (which is good in labs). To use linked clones we need to create a golden image: a VM configured to the desired state. 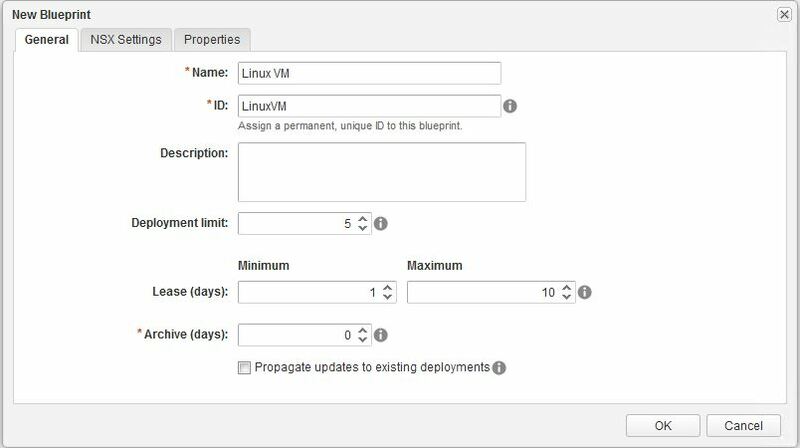 First create the VM: deploy it from an existing template or create it from scratch. 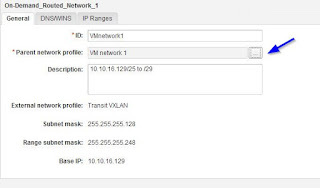 VM hostname and networking details will be configured at deployment during guest OS customization. 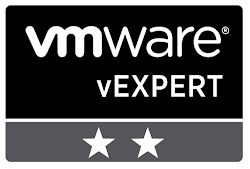 For this to work we need VMware tools installed in the VM and a customization specification created in vCenter Server. No other special configuration is needed for the VM. 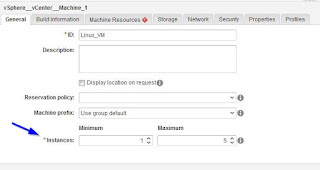 Now we have a VM with all the utils inside (VMware tools and optionally vRA agent) and we create the snapshot that will be the base for linked clones. 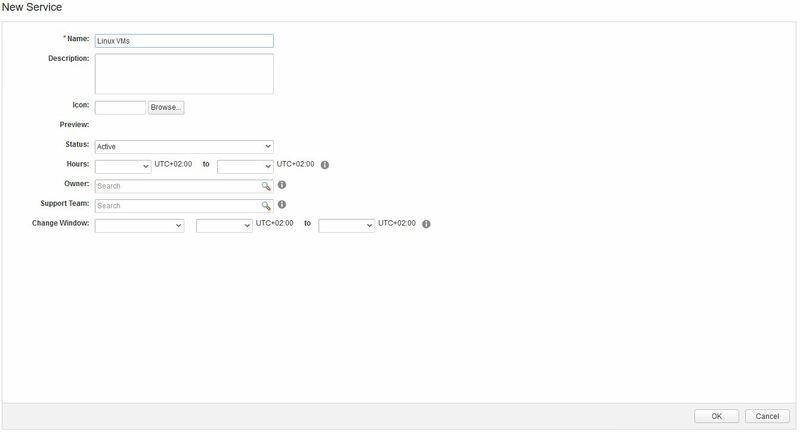 At this point we login to vRA portal and we start working on our service creation. 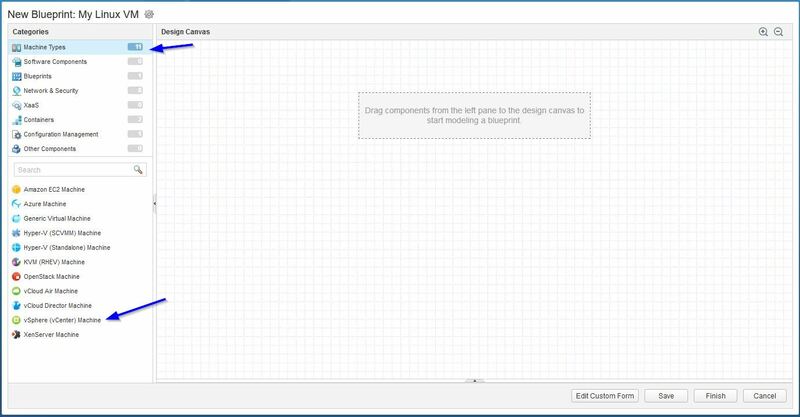 Go to Design > Blueprints. Start creating a New blueprint. 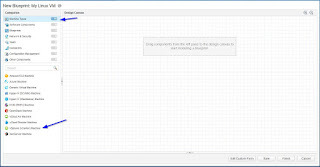 Type the name of the blueprint, assign an unique ID or leave the automatically generated one, limit the number of deployments per request (if you want). 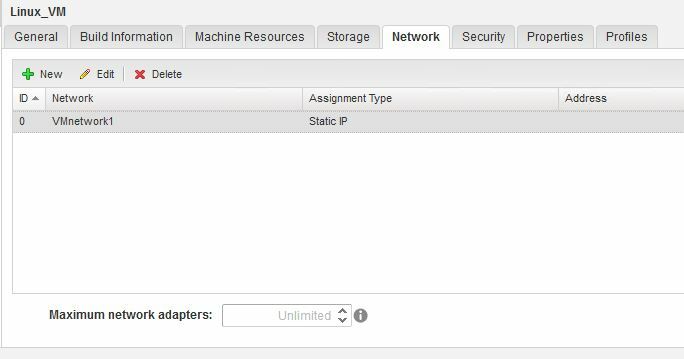 Add lease days to control the spawn of deployed VMs (especially for temporary environments) and add a period of time you want the item to be archived before deleting (when lease expires). 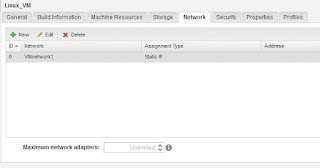 Since this is for demo, I've added a default lease of 1 day and no archival (automatic deletion after lease expires). 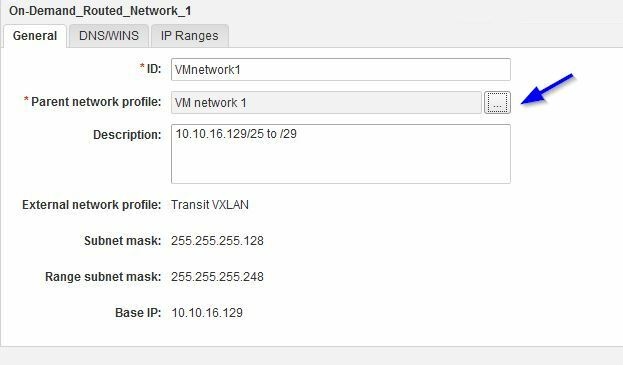 On NSX Settings tab, choose the NSX transport zone and if you want to isolate the VMs deployed from this blueprint (allow only internal traffic between VMs). 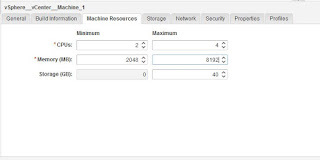 Type the VM consumed resources: number of CPUs, memory, storage. 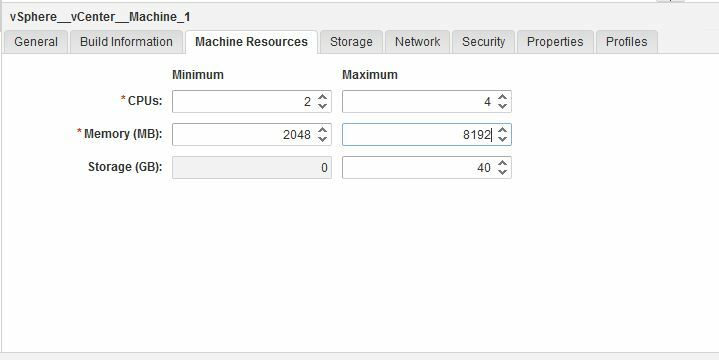 Take care when configuring these values: if you allow 10 instances in a deployment, each instance with a maximum of 8 vCPU and 32 GB of RAM you may end up with a deployment using 80 vCPU and 320 GB of RAM. 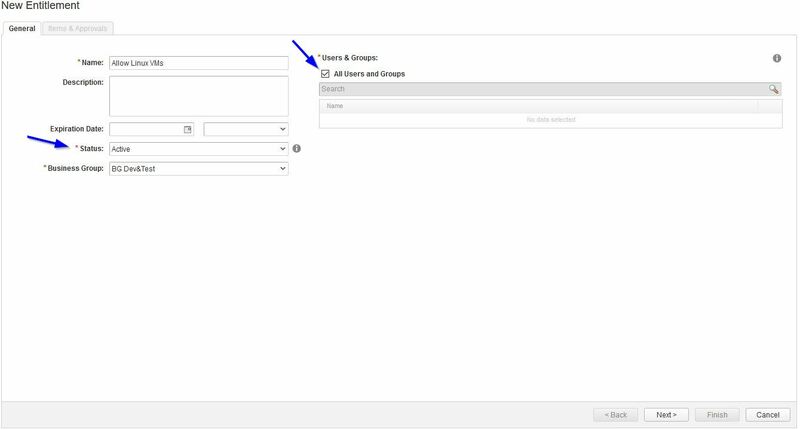 This is a good moment when approval workflows come into place. 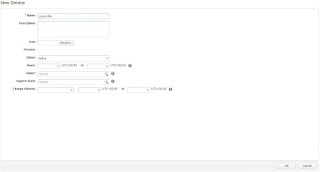 Once the blueprint has been published, it will appear under Administration > Catalog Management > Catalog Items. 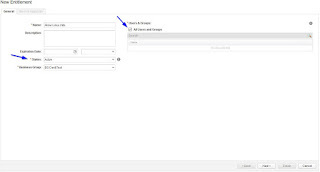 Select the new catalog item, press Configure and map it to the service created earlier at the beginning of the post. 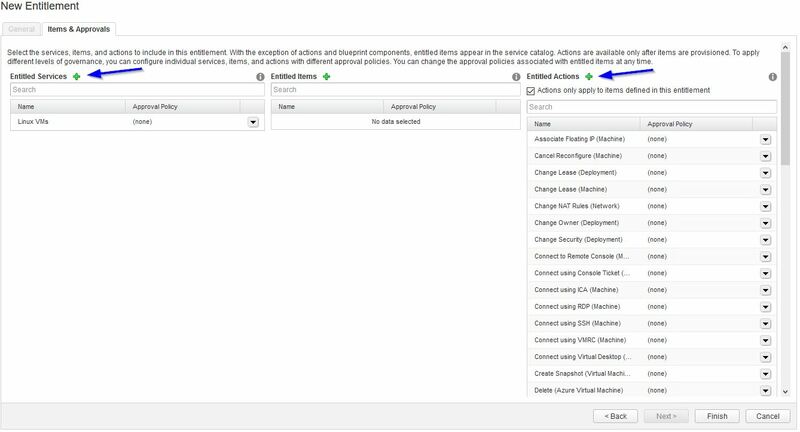 After the provisioning finished successfully, the components will be displayed in Items tab from where they can be managed using day 2 operations.